Beginning this Fall, the University of Houston-Downtown pledges free tuition to incoming freshman if they have a family income of up to $50,000. The pledge, also known as the Gator Pledge, is a grant for students entering college for the first time. To be eligible, students must be Texas residents, a high school graduate who has earned a recommended or distinguished diploma, and eligible to receive a Federal Pell Grant. Students must enroll as a full-time student at UHD and maintain 24 credit hours within a 12-month period. This entry was posted in College Readiness, News on March 26, 2019 by HISD Communications. HISD high school students interested in studying abroad attended a college information session on Friday led by Dr. Luis Ernesto Derbez, the president of Universidad de las Américas Puebla (UDLAP). The university is one of the most prestigious in Latin America. It is one of the few accredited by Southern Association of Colleges and Schools Commission on Colleges, the same organization that endorses major universities like the University of Texas at Austin, Rice University and Tulane University. This entry was posted in College Readiness, News, Volunteers and partnerships on February 25, 2019 by HISD Communications. Bridgett Ramirez was born and raised in Houston, the oldest of three children. She began her formal education at Harvard Elementary School and is now attending Harvard University in Boston. She is the first in her family to go to college after graduating from Lanier Middle School and Heights High School. 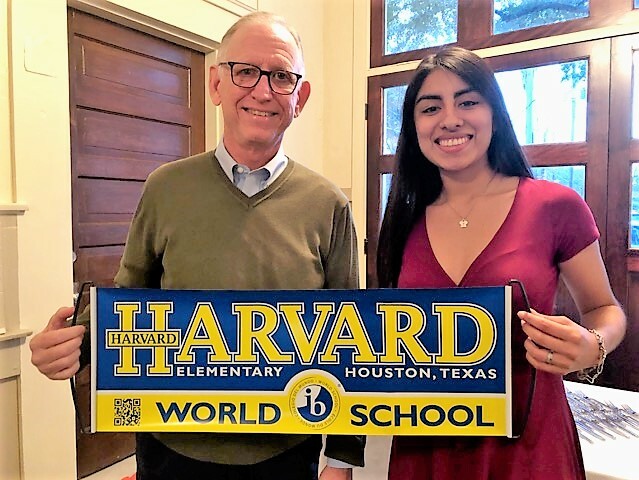 This entry was posted in Achievement/Recognition, College Readiness, EMERGE, News and tagged Harvard ES on February 6, 2019 by HISD Communications. This Spring, HISD students will be able to attend several college readiness fairs—both national and local—right here in Houston! At each of these events, students will explore multiple colleges and degree programs, learn about industry certifications and technical careers, and apply for scholarships to fund their education. This entry was posted in College Readiness, News on January 29, 2019 by HISD Communications. PSAT scores from the October test have been released, and they are available now. After spending time to take the test, it’s important to access, understand, and use the PSAT scores to your advantage. PSAT scores will help you understand how close you are to being college ready in math, reading, and writing. PSAT test scores can also connect you to other benefits you hadn’t thought of, including enrichment programs, internships, summer camps, scholarships, and the ability to take college-level courses in high school. This entry was posted in College Readiness, High Schools, News and tagged PSAT on December 10, 2018 by HISD Communications. 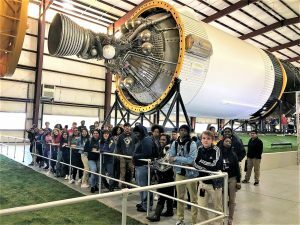 High school students from across HISD attended a day-long field trip to Space Center Houston recently. The trip, sponsored by Houston-based nonprofit organization DiscoverU, was the culmination of an outreach effort led by HISD’s College and Career Readiness Department that resulted in 57 eleventh-graders being admitted into NASA’s High School Aerospace Scholars (HAS) program. All students who were accepted were invited to register for the free field trip, and 51 attended. Activities included a tour of Building 9 and Rocket Park, an astronaut talk in Space Center Theater, and a chance to explore Space Center Houston. Students from the following high schools went on the trip: Bellaire, Carnegie, Eastwood Academy, Energy Institute, Heights, HSPVA, Madison, Mickey Leland College Prep, North Houston Early College, Northside, Sharpstown, Texas Connections Academy, Washington, and Westside. A few tenth-graders from Madison and Washington also attended. DiscoverU’s aim was to expose students to Space Center Houston and provide an in-person introduction to the program, with the goal of encouraging and empowering HISD students to complete the five-month online course and get a chance to spend a week at Johnson Space Center next summer. It was also an opportunity for students to meet others in the program who share their interest in aerospace engineering. This entry was posted in College Readiness, Magnet/School Choice, News, Science, STEM and tagged Magnet/School Choice, NASA on December 6, 2018 by HISD Communications. Filling out the FAFSA is the first step toward getting many different types of financial aid for school, and finishing the FAFSA early is the best way to maximize college-award packages. Even though the federal government doesn’t have a firm deadline as to when FAFSA (Free Application for Federal Student Aid) applications need to be completed, all 50 states do, and for Texas the priority deadline is Jan. 15 – two months earlier than last year. When applying for student aid, timing matters. Each year, the Office of Federal Student Aid offers more than $120 billion through grants, loans, and work-study funds to help students pay for higher education. Priority for this money will be given to students who apply before the priority consideration deadline. This entry was posted in College Readiness, News and tagged FAFSA, TAFSA on November 26, 2018 by HISD Communications. Armed with a fresh notebook and pens for jotting notes, Wisdom High School parent Erica Alvarado bounced from table to table at Thursday night’s second Parent University session, gathering as much information and resources as she could. Alvarado’s mission was twofold: Learn as much as possible to help support her children’s education, and pass along resources to fellow parents serving on Wisdom’s newly minted PTO, for which she is president. This entry was posted in College Readiness, Counseling & Guidance, District VII - Anne Sung, Health/Wellness, Magnet/School Choice, News, Parent University, Parents, Special events, Wraparound services and tagged Wisdom High School on November 16, 2018 by HISD Communications.